The path to financial freedom is a route that is potentially open to many and yet few actually take it and liberate themselves. Achieving your financial goals and becoming financially free requires discipline and commitment, you will face many obstacles but with the right mindset and financial habits success will come. I have listed four of of the obstacles that you will face below. Consistency of action and your ability to adapt to changing circumstances will be key if you are to make it. The days when employees could expect to work continuously for one employer for a period of forty years and then retire are long gone. In many cases, you are now more likely to be made redundant and suffer a period of unemployment during your career. The chances of this happening are higher if you are an ethnic minority or a woman. Self employed workers and freelancers are also more likely to experience fluctuations in their income levels. If this happens, you will experience a change in the level of your income which could jeopardise your financial objectives. You should immediately re-visit your monthly budget and assess the impact to your net worth. It is important that you adapt to your changing circumstances; should you look for a part time job while also looking for a new main job? Can you make cuts to your levels of expenditure? Surely, the entertainment budget can be reduced? These are questions that you will need to ask yourself. Hopefully you have an emergency fund that you can use until you secure another job. If you are following the steps I outlined in this post, What’s the Best Strategy For Clearing Debts?, you will have a prioritised list of debts to clear. It should come as no surprise to you that your creditors will have no regard for your list. You may receive phone calls, text messages or letters from creditors who are a low priority on your list. They will want you to make payments to them and will not care what your overall plan is for reducing your debts. These communications from debtors are an obstacle to overcome and can put you under pressure. If you need to talk to someone consider contacting The National Debtline. Stay strong mentally and do not change your priorities in terms of debt reduction because you received a specific phone call. Stick to your plan that will result in you getting out of debt more quickly. True friends and family members will understand the financial journey that you are on and the steps that you are taking to put yourself in a better place financially. However, there will be many who do not understand or perhaps are not in your inner circle, they may continue to expect you to attend expensive social get togethers or go on holidays with them. This will put you under some social pressure. Do not give in to pressure to keep up with the Joneses at all. If an event or purchase does not fit with your financial plan avoid it. If you must attend a wedding or special occasion, plan and budget specifically for the occasion. Recycle an outfit for the occasion rather than buying a brand new one. If necessary, explain your decisions to your friends. On your financial journey, you will experience many changes in the value of your investments. Depending on the nature of your investment portfolio, these changes could be quite significant. For example, those who have invested in cryptocurrencies during the last few years will have experienced a level of price volatility that can make even the most confident investor think twice. Keep tabs on your investments and prepare to takes steps to rebalance your portfolio if it is no longer consistent with the level of risk you are comfortable with. Avoid knee jerk reactions to market changes and consider the long term at all times. Having a financial plan and goals is a wonderful position to be in, having the strength of character and determination to stick to it and adapt when necessary is even better. You will face obstacles but it is possible to overcome them. I write from experience, I have faced each of the obstacles I have described and more. I want you to come out the other side and be able to recognise your achievement and smile. Have you faced any of the obstacles I have mentioned here? How have you handled them? Let me know in the comments section below. Have you saved enough into your pension? For a large proportion of the United Kingdom population the answer is no. Most people are not saving enough for their retirement. Does your vision of retirement include freedom to travel and time to enjoy a comfortable standard of living? If we all to have the retirement that we aspire to one day, we will need to make sure that we are on track to achieve it. It is time to get serious and work out how much that will cost. There are a lot of assumptions built into pension calculations, assumptions that are not true for many people. For example, the assumption that you will work 40 years of continuous employment with your salary continually increasing by X% and you maintaining your pension contributions at 12% of your salary for 40 years. Some of the realities of life such as redundancies, women taking time out to raise a family, individuals starting businesses, part time work, time out for studying and credit credit or student loan debts don’t exist in this Continuous Pension Saving Utopia. I think when people realise that they are not on track to hit their pension goal, they give up and hope someone other than themselves will solve the problem. Let me be more specific, if you would like to live on a retired income of £25,000 you will need to have a pension pot of £500,000. That is assuming that you use your pension pot to purchase an annuity giving you the annual income of £25,000. Try this pension calculator to work out how much you would need at other income levels. As you can appreciate, £500,000 is a large amount especially when it’s considered that the average pension pot in the UK is around £50,000. Work out the total pension pot you currently have, if you have had several jobs during your career you may need to do a little detective work to track down all of your workplace pensions. This article will help you find your pensions. Re-evaluate your household budget, can you afford to increase your contributions? If you are in a workplace pension then you should maximise the contributions that you make because these will be matched by your employer. If you are self employed, you should also increase your contributions. It may be that increasing your pension contributions alone will not be enough for you create a big enough pension pot for retirement. If that is the case, you should develop a Plan B. Property is a great way to supplement your pension savings, you could downsize your main residence and use the profit for your retirement. Alternatively, you could rent out a spare room and earn extra income that way. There are other ways too, they include equity release and property investing. You can read more about these ways via this link. If you own a business, this could become your Plan B. Depending on the nature of your business, you may be able to sell it and contribute money to your pension savings after the sale. The fact that you are reading an article like this is a positive in itself. You still have time to improve your level of preparedness for retirement and there are a number of ways you can do so. Are you on track with your pension savings? If not, what are you going to do about it? Let me know in the comments section below. Posted on June 20, 2018 June 22, 2018 Categories Financial education, Financial Planning, Investments, Money Savings Tips, Personal finance, Personal Finance Blog, Retirement PlanningTags Budgeting Tips, Financial Education, Have you saved enough into your pension, Learn Money, Learn Money IO, London, Mike Pitt, Money Saving, Pensions, Personal Finance Blog, Personal Finance Blog UK, Personal Finance UK, Property, Retirement Planning, Save money, Savings, United KingdomLeave a comment on Have you Saved Enough into Your Pension? If you are going to be successful and achieve your financial goals you will need to face up to obstacles head on rather than wait and hope that they disappear of their own accord; usually, they do not disappear of their own accord. Are you financially compatible with your partner? First of all, a quick definition, when I use the use the term financially compatible, I mean to share the same financial goals, vision and habits. Are you both saving regularly and maximising investment returns? Is your discretionary expenditure linked to value for money? I do not mean that you need to be earning the same salary. It is great if you are but it is not essential for financial compatibility. The key word in this context is together, ideally you need to be able to plan your financial future together and work towards it. This could mean saving to buy a home, a goal of becoming debt free or financial freedom (retirement) at an early age. Financial literacy is not a skill-set everyone has, some are willing to learn whereas others are more interested in living for the moment instead of having a financial plan. Not everyone approaches personal finance and their financial responsibilities in the same way. Disagreements over money remains one of most common causes of divorce. If one person is a disciplined, lifelong saver and the other is frivolous with money, there will be friction between the two. In my opinion, if these differences are entrenched there is no chance of achieving your financial goals together. It does not seem very romantic to consider a partner’s financial compatibility when you are just getting to know them but if you don’t, you could be storing up problems for yourself later on. Hopefully, if you are in a relationship you have already taken an opportunity to discuss money with your partner. Depending on your starting point, following a budget for a prolonged period can be hard work. To achieve financial freedom for example, you and your partner will need to work as a team and to be consistent. You need to be in alignment. If there are only slight differences between you then thankfully, with a calm approach, compromises can be agreed upon. Arrange to have regular money meetings with your partner; during these meetings discuss financial goals and budgeting and agree a way forward. If one of you is the natural saver, take the lead in these meetings but be careful to avoid being judgemental. Build in quick wins on your financial journey together, this could be paying off a credit card with a low balance or saving for a planned weekend away. Allow yourself small celebrations when you hit your financial milestones, be creative with these and do not spend a lot of money on them. By working together you will dramatically improve your financial health and you will strengthen your relationship. Well done! Your future is looking bright. Have you sat down with your partner and discussed finances? How did the conversation go? Let me know in the comments section below. Posted on June 18, 2018 June 22, 2018 Categories Budgets, Financial education, Financial Planning, Investments, Make Money, Money, Money Savings Tips, Paying off Debts, Personal finance, Personal Finance Blog, Retirement PlanningTags Are you and Your Partner Financially Compatible?, Budgeting Tips, Financial Education, Financial Planning, Learn Money, London, Make money, Mike Pitt, Money Saving, Paying off Debts, Personal Finance Blog, Personal Finance UK, Save money, Savings, United KingdomLeave a comment on Are you and Your Partner Financially Compatible? An individual Retirement Account (IRA) is a particular type of savings account that helps people prepare for retirement in the United States. There are tax advantages to saving in an IRA account. In the United Kingdom, the equivalent savings account is called a Personal Pension. A 401K is a company backed retirement plan (Workplace Pension in the UK), whereas IRAs are started by an individual. IRAs can be subdivided into Roth IRAs and Traditional IRAs. With Roth IRAs, there is no tax deduction for contributions but when your investment earnings are distributed in retirement this is done tax and penalty free. Traditional IRAs by contrast, do offer deductions for contributions but when your funds are distributed at retirement taxes on investment earnings have to be paid. IRA funds can be invested in individual stocks, bonds and cash. There are also many mutual funds that you could choose from. Either on your own or after receiving advice decide on an asset allocation that you are happy with for your IRA. Gold IRAs were created by the Taxpayer Relief Act of 1997. A Gold IRA account is a way to diversify your retirement investments further. A Gold IRA gives the investor the chance to own physical Gold, Silver, Platinum or Palladium. To invest in a Gold IRA, you will need to set up a self-directed individual retirement account (SDIRA), this is an IRA in which the investor is in charge of making all the investment decisions. What are the Benefits of Gold IRAs? Investors have created Gold IRAs because they perceive them to be a counterbalance to what is happening with their more traditional investments. If paper based assets such as stocks are trending downwards, Gold tends to move in the opposite direction. Adding a Gold IRA will diversify your retirement investments. Since the financial Crisis of 2008 Gold IRAs have increased in popularity because of this investors’ desire of investors to spread risk with their retirement investments. You can potentially benefit from increases in the price of Gold, of course this cannot be guaranteed. Between 2000 and 2012 the price of Gold increased for 12 consecutive years. While stocks can literally become worthless, the price of Gold will never be worth zero. Remember, it is possible and advisable for an individual to have more than one IRA. You could hold one mutual fund IRA and a Gold IRA, for example. Setting up a Gold IRA is quite a complicated process. First of all, you need to find an approved custodian (Broker) for the IRA and an approved Depository, where the Gold will be stored. Then you buy the Gold and have it transferred to the Depository. Historically, some Gold IRA companies have not are not completely transparent about their fees and investors have experienced surprises after they have invested. Before you create a Gold IRA or rollover an existing IRA into a Gold IRA ensure that your custodian has confirmed all costs and fees. If you are thinking about setting up a Gold IRA, Regal Assets is one company that you should consider. 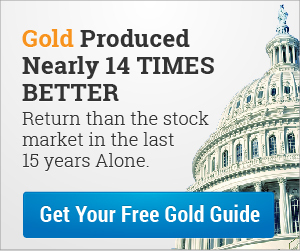 Click here for a free Gold IRA guide. Do you have a Gold IRA already? How do you think your investment is performing? Let me know in the comments section below. The owners of this website may be paid to recommend Regal Assets. The content on this website, including any positive reviews of Regal Assets and other reviews, may not be neutral or independent. Posted on June 15, 2018 June 23, 2018 Categories Gold, Investments, IRA, Make Money, Money, Personal finance, Personal Finance Blog, Precious Metals, Retirement Planning, United StatesTags 401K, Financial Education, Gold IRA, IRA Accounts, Learn Money, Learn Money IO, Make money, Mike Pitt, Money Saving, Personal Finance Blog, Precious Metals, Retirement Planning, Roth IRA, Savings, Traditional IRA, United States, Why Choose a Gold IRA Account?Leave a comment on Why Choose a Gold IRA? For many people, saving money is not exciting; when they consider what their savings may allow in the future it can become more exciting. This may mean the chance to have an expensive family holiday or a more comfortable retirement. Whatever your level of salary or wages, you should aim to save 20% of your earnings. Depending on where you currently are in terms of your financial health, this 20% figure could seem insurmountable or very manageable. Please remember this is a guideline. This guideline is based on the following breakdown of income; 50% on mandatory expenditure including accommodation and associated bills, 30% on discretionary expenditure and 20% on savings. Is this the Dream versus Reality? The chart above is from Trading Economics and clearly demonstrates that in the UK most households are not getting anywhere near the 20% figure. My own anecdotal evidence is that there are times when I have been able save above the 20% and other times when no saving has been possible at all. For our US readers, the situation is actually slightly worse, as you can see from the chart below. There is data from other countries as well on the website, so please explore to find figures for your country if you are not from the UK or US. I would like everyone who reads this post to take a step forward to a better financial future. We have just started a new month, commit with me to saving 20% of your income, or as close to that as you can. If you comfortable doing so, leave a comment below indicating the percentage of your income that you will save this month, this month being June 2018. My aim with each blog post is to help you move to a better financial future. I believe that financial education is largely absent from the national curriculum and I intend to share anything helpful that I have learned along the way. I am by no means a financial expert. This is my personal finance blog; my marketing blog is over here and I have been blogging there since 2010. Posted on June 3, 2018 June 8, 2018 Categories Investments, IRA, Money, Money Savings Tips, Personal finance, Personal Finance Blog, Retirement Planning, Save MoneyTags Budgeting Planning, Budgeting Tips, Investments, Learn Money, Learn Money IO, Mike Pitt, Money Saving, Personal Finance Blog, Personal Finance Blog UK, Personal Finance UK, Retirement Planning, SavingsLeave a comment on How Much Should You Save?